EMF » Effect of IV Fluid Therapy in Patients with Uncomplicated Acute Alcoholic Intoxication presenting to the Emergency Department, a randomised trial. Emergency Medicine Foundation > Projects > Queensland > Effect of IV Fluid Therapy in Patients with Uncomplicated Acute Alcoholic Intoxication presenting to the Emergency Department, a randomised trial. Effect of IV Fluid Therapy in Patients with Uncomplicated Acute Alcoholic Intoxication presenting to the Emergency Department, a randomised trial. 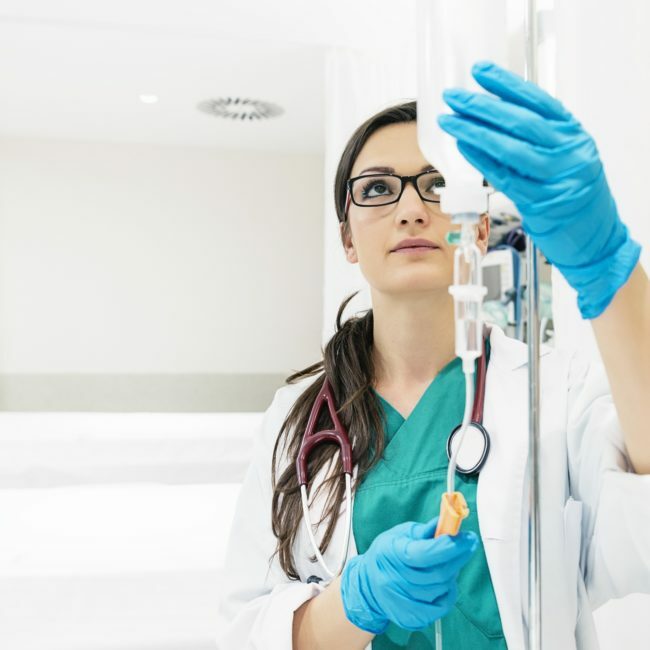 What is the effect of IV fluids on the emergency department length of stay of moderate to severely intoxicated patients. In the emergency department of Gold Coast Hospital, from 1 January 2008 to 31 December 2009, 0.7% of total patient population (~1512 patients) were given either a primary or secondary diagnosis of alcohol intoxication or alcohol abuse. Non admitted patients with acute alcohol intoxication or alcohol abuse had an average emergency department length of stay of 8 hours. This prolonged length of stay in the department contributes to additional resource allocation and increased morbidity through emergency department overcrowding. Current experimental evidence suggests that intravenous (IV) fluids do not increase rate of ethanol clearance from the blood of mildly intoxicated patients. However, there have been no relevant studies that have investigated the effects of intravenous fluids on the emergency department length of stay of moderate to severely alcohol intoxicated patients. The research team found that the standard treatment of giving drunken patients IV fluids makes no difference to how quickly they sober up. As a result, two of the largest emergency departments in Queensland, Gold Coast University Hospital and the Royal Brisbane and Women's Hospital, have stopped the routine use of IV fluids to treat drunken patients. Emergency Departments in the Gold Coast Health Service District treated more than 150,000 patients in 2015 and researchers estimated that up to $500,000 was saved by no longer treating drunken patients with unnecessary IV fluids.